If you are like one of the millions of people who suffer from back and/or neck pain then no doubt you have done your research into ways to try to gain some form of relief from the persistent pain. 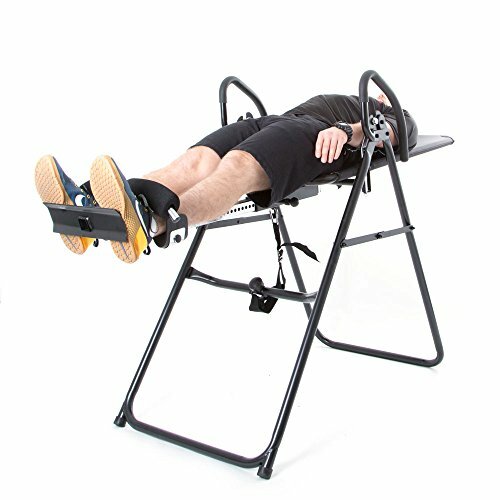 One of the most effective and popular ways for those that don’t want to take any medication is by using an inversion table. Inversion tables have been around for a long time and are becoming ever increasingly popular. Consequently, as fitness brands try to capitalize on the sudden surge in numbers of people buying one, more and more models are being released. 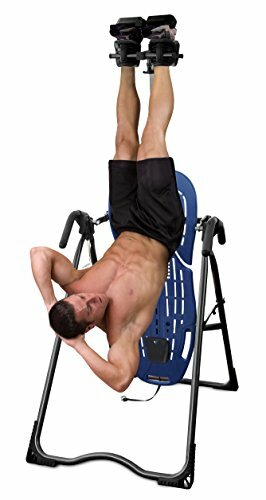 This can make choosing the best inversion table a real pain in the neck. 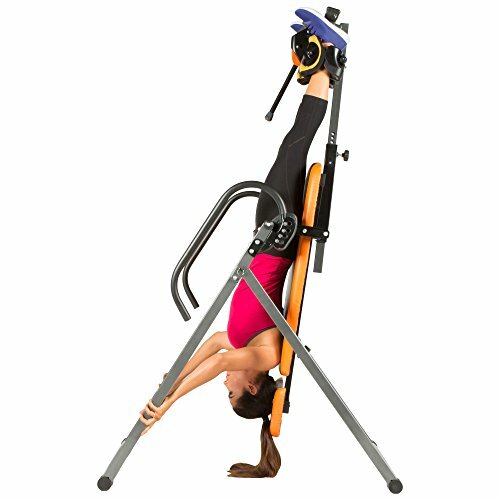 In this guide we will be sharing all the information you need to know for when choosing a top inversion table. In our reviews we have compiled a range of the best models currently available, you can find them in the comparison table below. Our buyers guide is where you will find all the important stuff about what to look out for when buying and how to avoid wasting your money on a low quality model. A lot of you are probably still wondering, “do inversion tables work?” The short answer to that question is yes, let me explain. 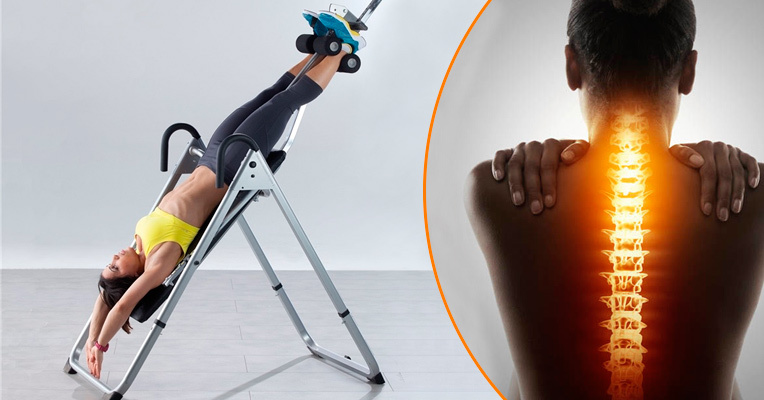 An inversion table is a form of inversion therapy, which has long been reported to help alleviate lower back pain and neck pain. With a long history and many proponents it is safe to say inversion tables do genuinly work, whether or not they work for everybody is a different question entirely. Can hanging upside down improve your health? There are a long list of conditions and ailments that inversion tables have been reported to help alleviate. 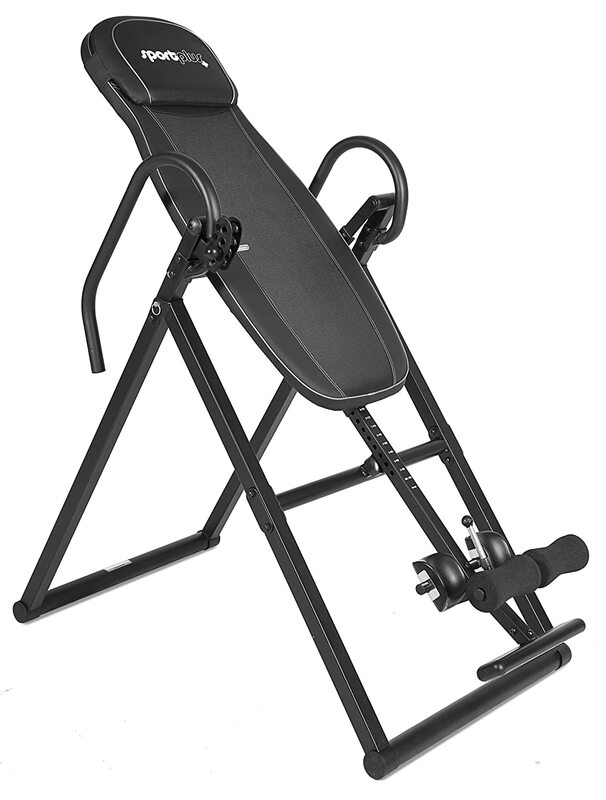 Below you can find a little bit of information about the most common inversion table benefits. Over time our bodies are gradually affected by the force of gravity. One of the areas that is most affected tends to be the spine. The downward pull of gravity can compress the vertebrae and help contribute to conditions such as spinal compression, pinched nerves and general back ache. This happens because the vertebrae apply pressure on the discs, which can in some cases lead to bulging discs. Consequently, the discs can then come into contact with the nerves that run up and down your spine causing tremendous pain. When inverted, your spine and discs stretch and open, allowing relaxation of the muscles, alignment of the spine and re-hydration of the discs. When there is a bulging or herniated disc, inverting creates a negative pressure to the disc spaces forcing the bulge or hernia to retract back into its natural position. Inverting or “hanging upside down” helps to alleviate back pain associated with compression by temporarily stretching the muscles and ligaments around the spine. Bad posture is something that many people suffer from, what a lot of people don’t know is that bad posture can cause a number of side-effects. The most obvious ones are back and neck pain, however, poor digestion, increased risk of cardiovascular disease and subluxations are among others. Over time poor posture can literally alter the shape of a person’s spine. This can lead to the decrease in the body’s natural ability to absorb shock and maintain balance. Using an inversion table and “spinal decompression” is a great way to stretch unlike any other. When hanging upside down the weight-bearing joints are decompressed and receive a well-deserved break. Performed regularly this can lead to improved posture. We all know the saying “stress is a killer” and its true, stress has been proven to contribute to heart disease, cancer, lung problems and even suicide. In today’s modern world there are many stress factors that can set off the bodies Sympathetic Nervous System or “SNS”. 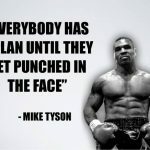 The Sympathetic Nervous System controls the bodies “fight or flight” response, when activated it leads to an increase in adrenaline and its by-product cortisol. Over time this can lead to chronic stress and with research showing chronic stress can lead to a whole host of other ailments, anything that can help reduce stress is worth looking into, especially if your job is very stressful. Research into inversion therapy has shown that when your feet are raised above your heart your Parasympathetic Nervous System or PNS is activated. The Parasympathetic Nervous System is the “rest and digest” mode of the body’s nervous system. This is a far more calm state for the body to be in and therefore less stressful. The increased blood flow and oxygen levels that inverting causes are also said to be a contributing factor to reduction in stress. In addition to compressing the spine, gravity can also cause blood to pool in the lower extremities of your body. This can lead to poor circulation and can even contribute to the cause of varicose veins. It has long been proven that reversing blood flow in the body can help to counteract with the pooling of blood. In addition it can also help flush out toxins by improving lymph flow, as well as send more blood to the brain. Due to increased blood circulation inverting also helps to carry more oxygen to the brain. This in turn can help to counter the effects of decreased oxygen to the brain, these include hardening of the arteries and high blood pressure. Another positive thing about increasing the brains blood supply is that it has been shown to help with memory retention. 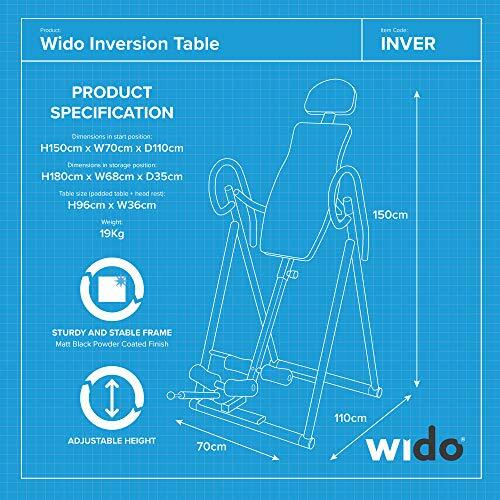 There are many different models to choose from when buying, so which is the best inversion table? Truth be told there is no particular one model that can be classed as the very best. 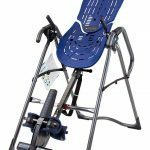 We all have our own needs and preferences when choosing fitness equipment and its no different when choosing an inversion therapy table. In our reviews you can find a wide range of models that cater for different budgets and needs. 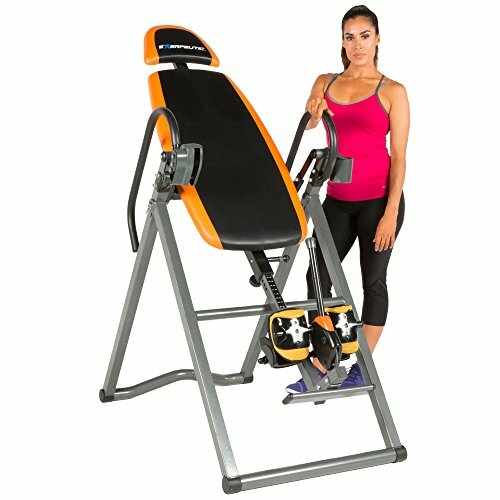 From cheap models with good quality features to more expensive professional options our research into the best inversion tables has uncovered something for pretty much everyone. 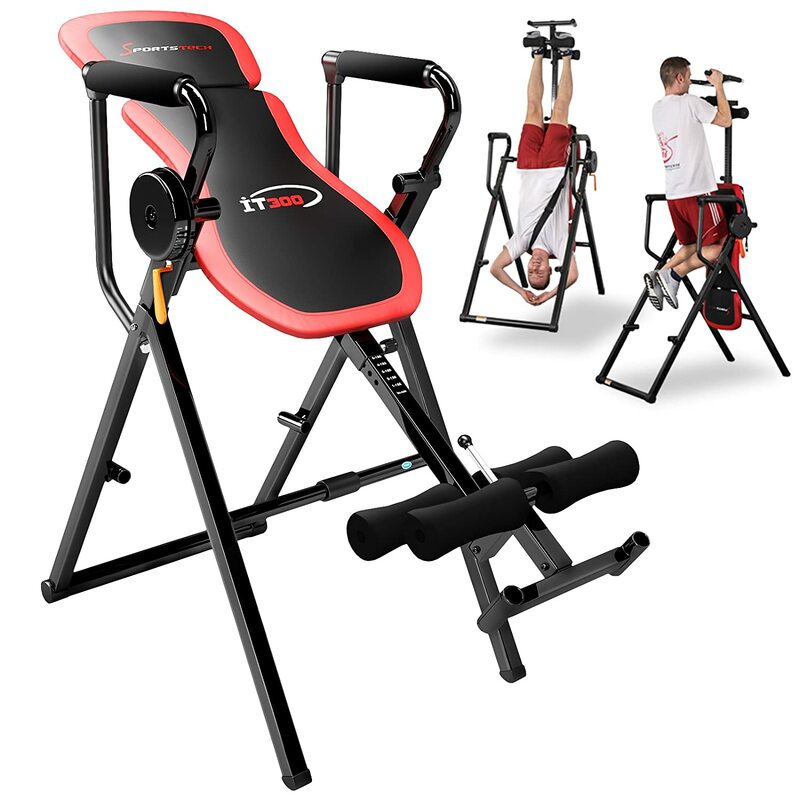 The 66fit Professional Inversion table is the one of the current best-selling inversion tables on the market. 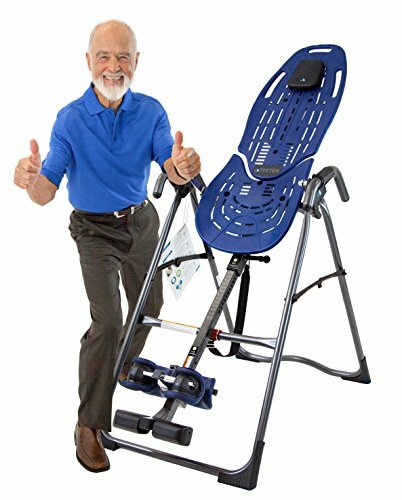 It comes with very positive customer feedback and is highly recommended for those looking to buy a professional quality inversion table. Fully adjustable and with a total of 25 adjustments it is possible to achieve full inversion with this model. In addition it is perfectly balanced and in combination with the adjustable belt you can be safe in knowing that you will be comfortable and secure when using the table. Suitable for those between a height of 4’9” and 6’6” it receives many plaudits for its versatility. It truly is suitable for a wide variety of users. With a maximum user weight of 136Kg rest assured that this model is very sturdy and built to last. The foldable option of this model makes it ideal for those with limited space. Although the dimensions of 13cm x 122cm x 69cm are quite big, the 66fit folds up neatly and can be easily stored away when not in use. 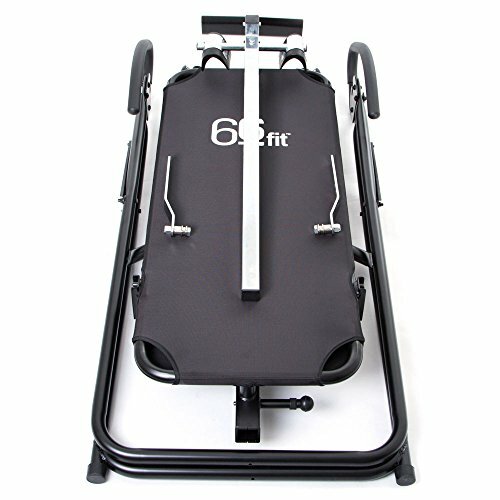 If you have already been convinced of the benefits of owning an inversion table and are looking to buy an affordable model with some quality to it, then the 66fit Professional should be on your radar. It comes with good customer reviews, which is a good indicator of top model, and is reasonably priced. Max user weight 136kg. Suitable for users between 4'9" and 6'6". 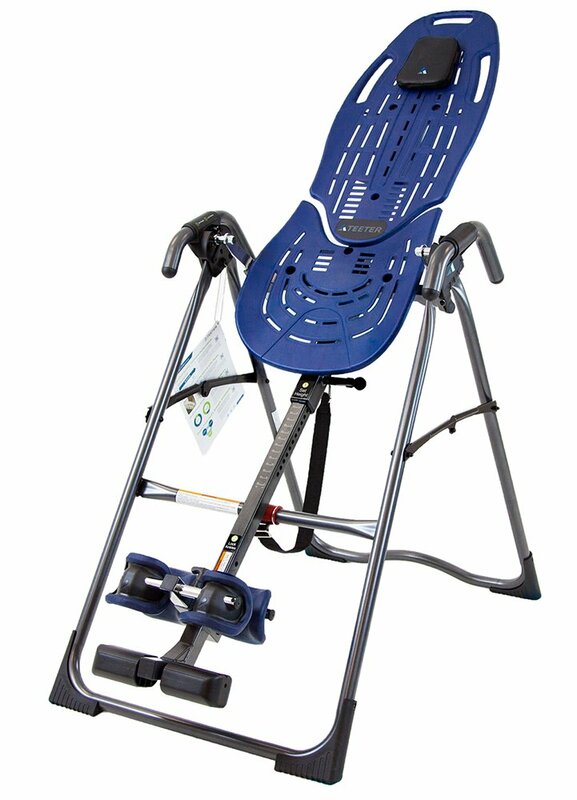 The Sportplus inversion table is another very popular model, especially among beginners. 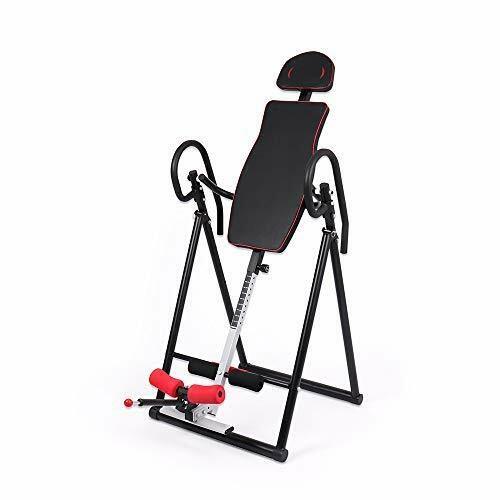 It is considerably cheaper than the previous model in our inversion table reviews and offers a good mix of affordability and quality. 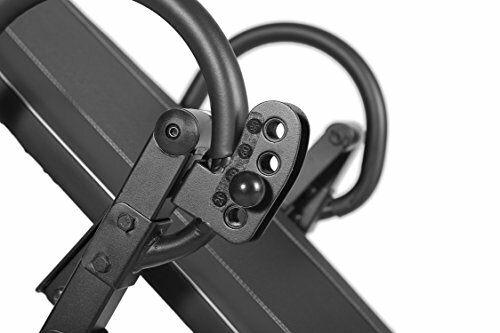 In total it comes with 4 inversion angles, which are 20°, 40°, 60°and 80°, there is also the option of free inversion. Designed to be easy to use it is a good entry model for those not looking to spend too much. It comes with a choice of two colour options which are black and red. For comfort extra soft upholstery has been used on the table and headrest, which is beneficial for regular users. Another positive feature that helps with comfort are the extra thick padded foot holders. 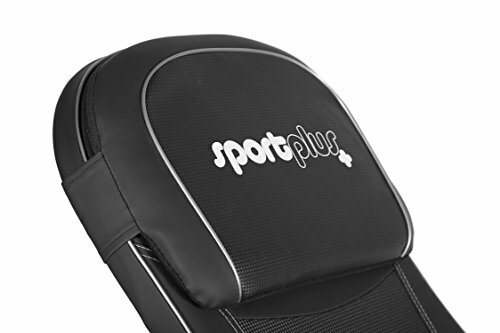 One thing we really like about the Sportplus Inversion Table is the solid and very sturdy design. It has a maximum user weight that is comparable with far more expensive models. Consequently, it is ideal for the bigger person looking to buy a decent quality and affordable inversion therapy table. The Beauty4Less Inversion Table is a good choice for those looking for an affordable option. It has the benefit of having a quite compact design and with folded dimensions of H180cm x W68cm x D35cm, it can easily be tucked away in an unused corner of the room when not in use. 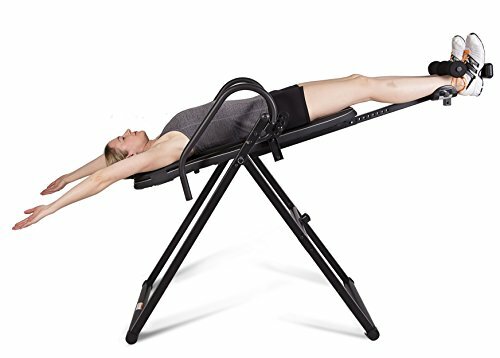 With 5 stars on Amazon, plenty of positive feedback from previous buyers and as well as been Amazon’s choice model, the Beauty4Less Inversion table is another very popular choice. The maximum weight and height are both relatively low when compared to other models in our reviews. With a maximum user weight of 100Kg and height 0f 6’2, taller individuals and those a little bit on the heavy side may want to give this one a miss. However, if you are of average height and weight then these specifications are nothing to worry about. 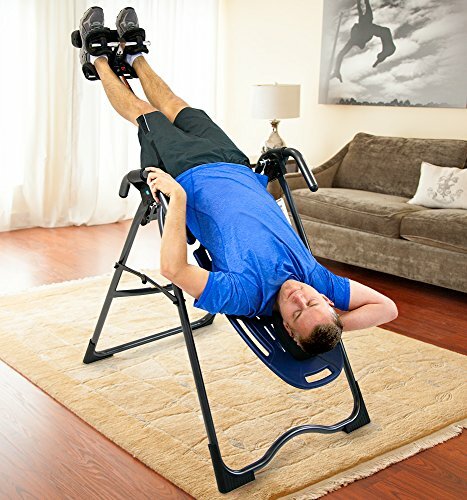 The Beauty4Less Inversion Table isn’t best suited for everyone. However, long as you are aware of the limits of this model and aren’t affected by them it makes a worthwhile investment. It comes with a good number of very positive reviews and despite the cheap price it is said to be very sturdy and durable. 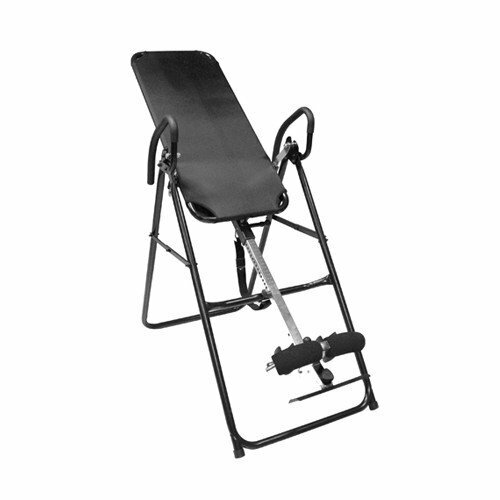 When it comes to inversion therapy equipment Teeter are the go to brand. 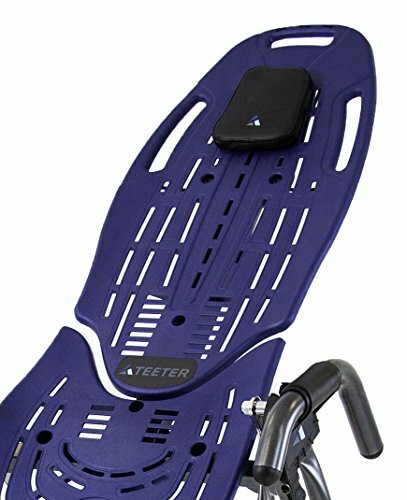 Teeter has been making inversion tables since the early 1980s and are without doubt one of the best brands on the market. Their inversion tables are of the highest quality in every department and are imitated by many other brands. 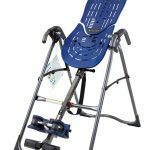 The Teeter Hang Ups Inversion table EP series contains some of their best-selling models and although they are quite expensive, they are some of the best inversion tables available in the UK. The Teeter EP560 Inversion table is one of the more affordable Teeter models and it has a reputation for incomparable quality and standards which is evident in many customer reviews. It also has to be one of the easiest devices to use, from setup right through to folding it up and putting away. You will certainly notice during the inversion process, how smooth, comfortable and easy it is both inverting and returning to the starting position. 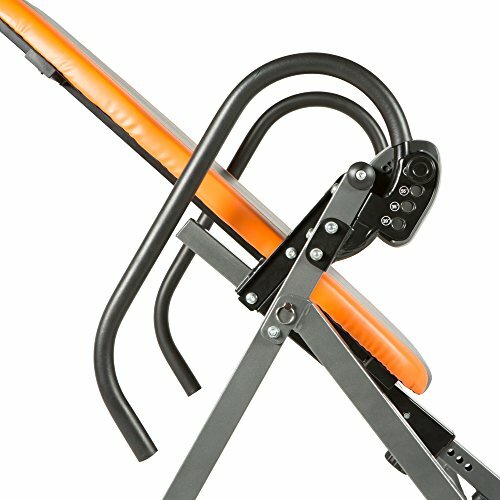 The carbon steel frame has a weight capacity of 300lbs and is very sturdy when in use. The height range can accommodate people between 4’8″ to 6′ 6″. The customer reviews and the Teeter brand reputation speak for themselves with this one. 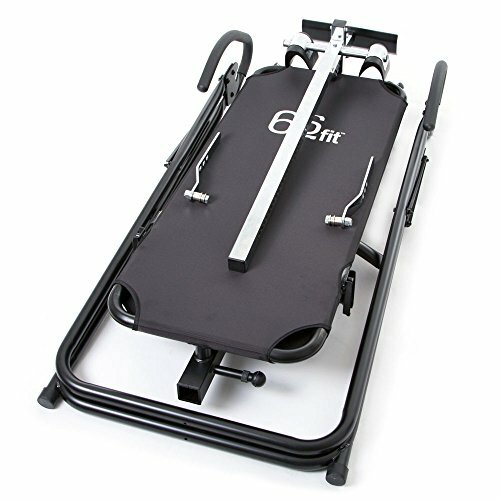 The EP560 is one of the best selling and highest quality inversion tables available to buy. 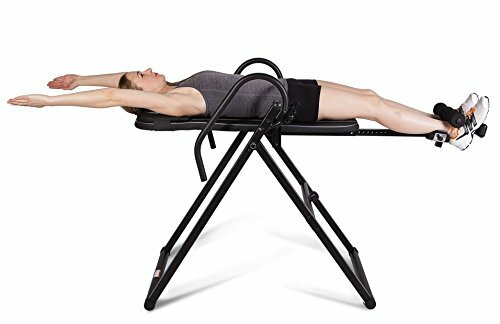 If you are only looking to ever buy one inversion table make it a Teeter and you won’t be disappointed. If you really want to invest in Teeter the Teeter EP960 comes with even better specifications than this model. 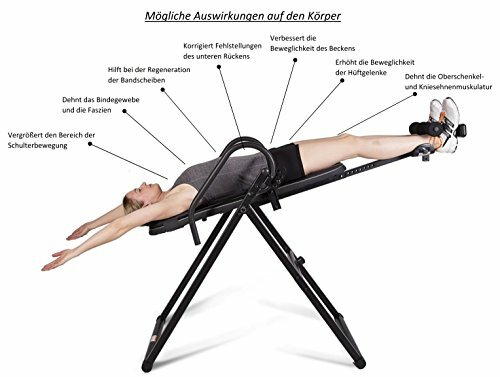 The Exerpeutic Inversion Table is a good example of a sturdy, well-built and very comfortable to use model. If you are of a tall height and carry a few extra pounds then this may be the one for you. Key features include a very impressive weight capacity of 300lbs – 136Kg. In addition there is an adjustable height of 4’9″ to 6’6″ making it suitable for most people. 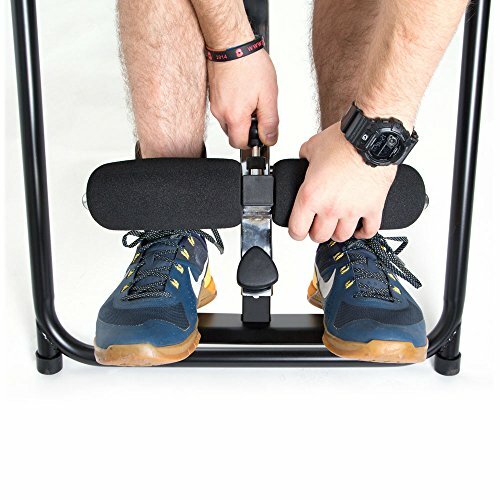 It comes with the favoured adjustable control pin for easily adjusting the inversion angle, rather than the budget strap system that you get with cheaper inversion tables. There is also a palm activated ankle locking system with a double lock ratchet tooth mechanism that ensures safety when inverting. 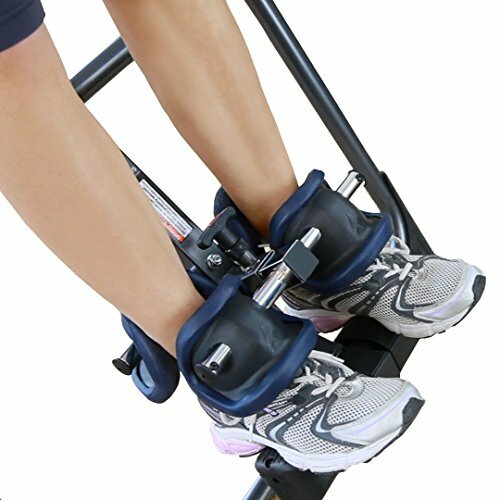 The standout feature and one of the reasons why many people choose to buy the Exerpeutic is due to the Airsoft ankle holders. The innovative design features cushioned airbags for comfort. These automatically fit to the shape of your ankles and provide extra cushioning and support. Furthermore they eliminate the heavy pressure that you normally get on your ankles when inverting. 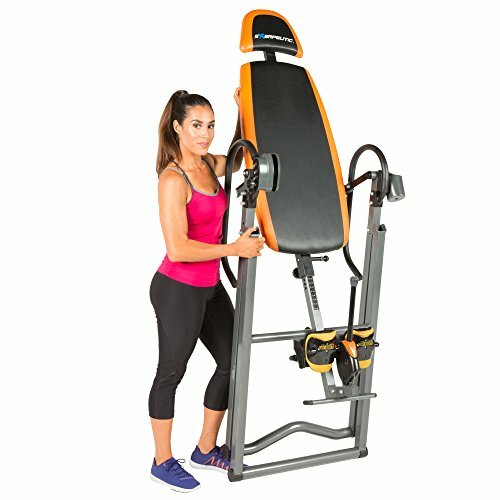 The Exerpeutic inversion table has a lot of good talking points and is definitely worth considering. 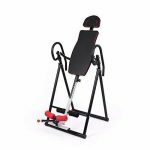 With good specifications it is ideal for the bigger person and would make a very sturdy and safe inversion table for a person of average build. 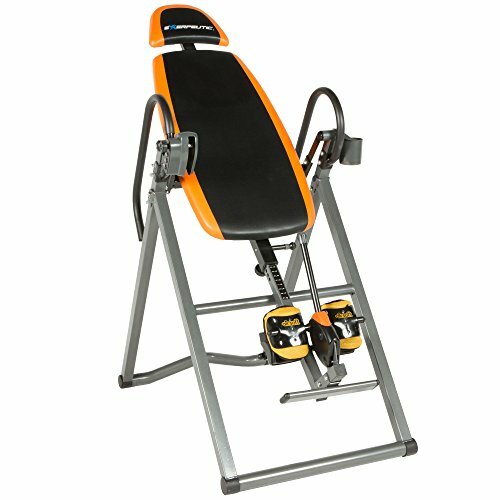 If you are looking to invest your money on a budget inversion table it doesn’t get much better than this. 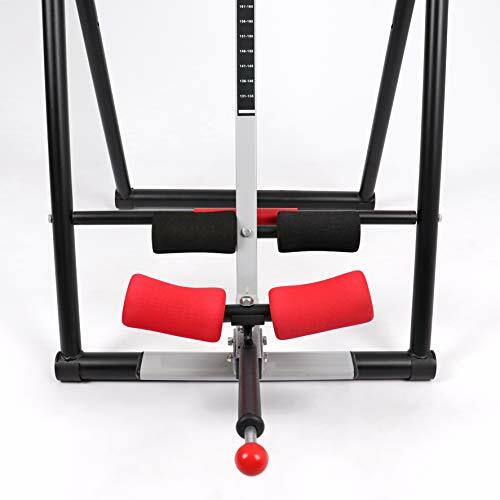 Sportstech make some of the best high quality exercise machines and equipment around. Since hitting the UK many of their wide range of products have quickly become best sellers on Amazon. 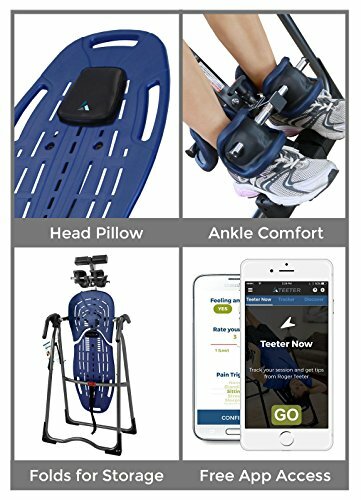 The Sportstech IT300 plays true to the Sportstech ethos of innovation and quality. 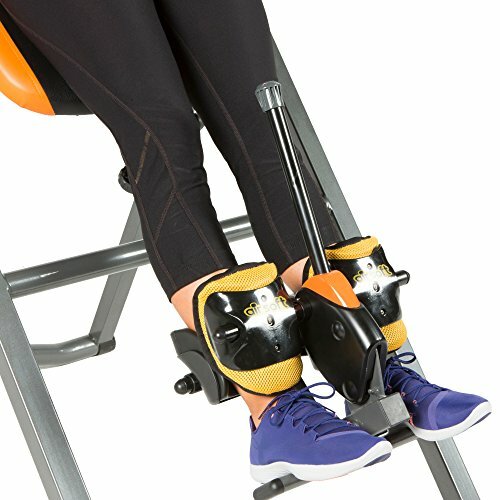 The innovative design of the IT300 means it can be used as a multifunctional piece of equipment as it allows up to 6 different exercises to be performed on it. With a 150kg maximum user weight it is the most sturdy and durable of inversion tables in our reviews. The height adjustability tops out at 6′ 5″ and is more than adequate for the majority of people. 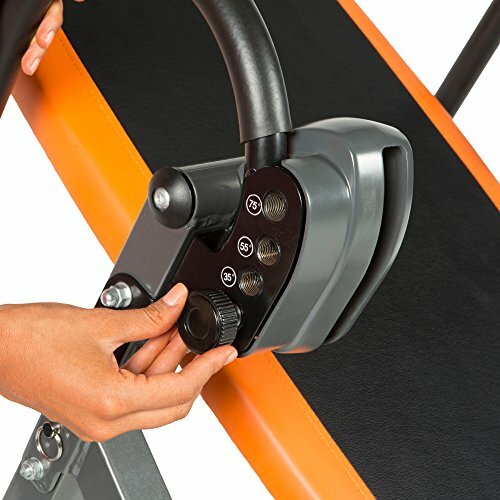 The ability to convert this inversion table lies in the multi-function bars that come with the it. These allow you to perform chin ups, push ups, leg ups and dips. It is worth mentioning that this is more than just an inversion therapy table, more akin to a home gym the IT300 is very versatile. 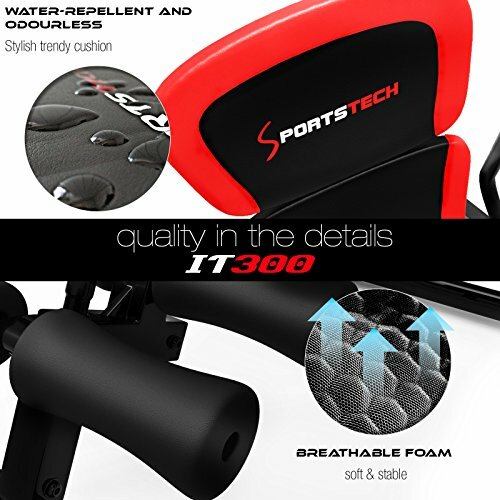 Like all things made by Sportstech the IT300 is a very impressive piece of fitness equipment. 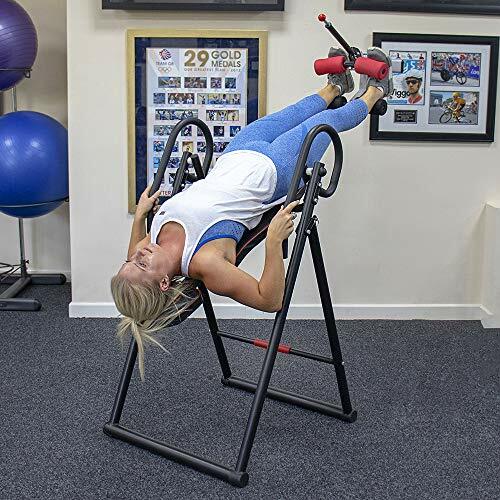 Built from high quality materials throughout as well as featuring an innovative design it brings a breath of fresh air to the standard inversion table design. 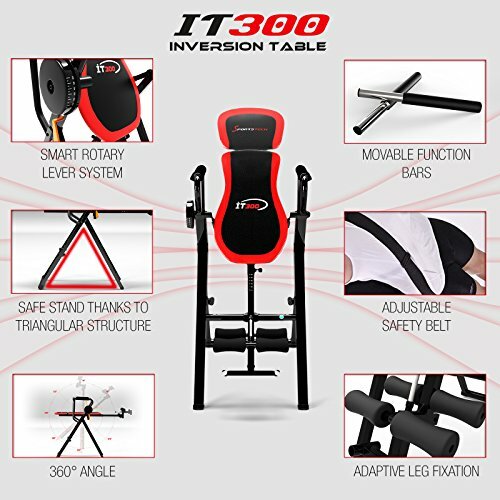 If you are increase your fitness levels and strength in addition to your inversion therapy then the IT300 offers all that in a single package. 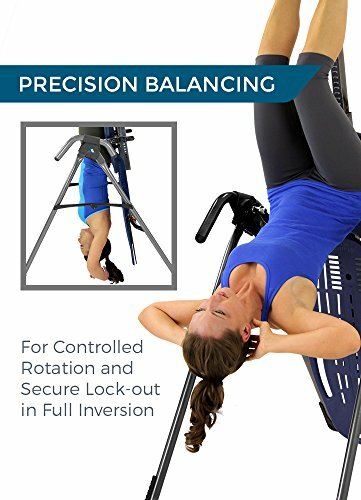 SMART ROTATING LEVER SYSTEM: The inversion angle is freely & individually selectable between 0° - 90° - there are no limits to your workout with our inversion trainer! MAXIMUM SAFETY: Thanks to the triangular structure of our inversion table and the adjustable safety belt, safe training is guaranteed at all times. You can rely 100% on our device! ERGONOMIC PADDING: The extra large pad of our inversion table provides a comfortable support in any position: water-repellent and odourless. The pad adapts perfectly to your body shape! SMART FOLDING SYSTEM: Our IT300 gravity trainer can be reconfigured in no time. Can be folded within in just a few seconds - ultra-compact, hence easily stowable. Note: NO ISLAND DELIVERY ! Despite being one of the most affordably priced inversion tables we’ve reviewed, the Confidence Pro actually includes many of the same features we’ve seen on higher priced models. To start off it has a very strong and sturdy A-frame design that can hold a maximum weight of 300lbs. This is on par with the Teeter Hang Ups Inversion Tables and impressive considering the price difference. 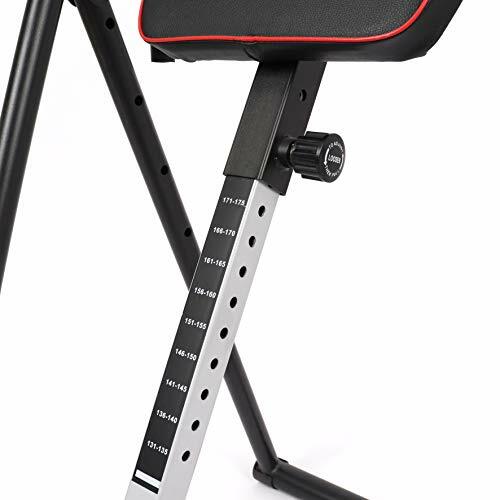 The height adjustability ranges from 4’10” to 6’6″ which falls within the range offered by most inversion tables. For limiting the inversion angle a tether strap is used and it is possible to achieve inversion of 180 degrees. The ankle holders feature a pin lock mechanism and provide adequate comfort. Talking of comfort, this is a department where the Confidence Pro falters a little. The cushioning used on the actual table is not the thickest and consequently not the most comfortable. We have featured a few of models under £100 in our reviews and they all offer exceptional value for money, the Confidence Pro is probably the best out of these more affordable options. As you can see it has similar specifications to more expensive inversion tables and with very good feedback from previous buyers it seems to be a very good buy. 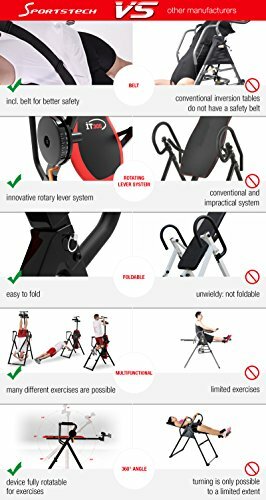 Before rushing into buying an inversion table its worth knowing about the features to look out for. This will help ensure that you get the best value for money and ultimately the best model for your needs. Below you can find a bit of information on the key features to consider before spending your hard-earned cash. 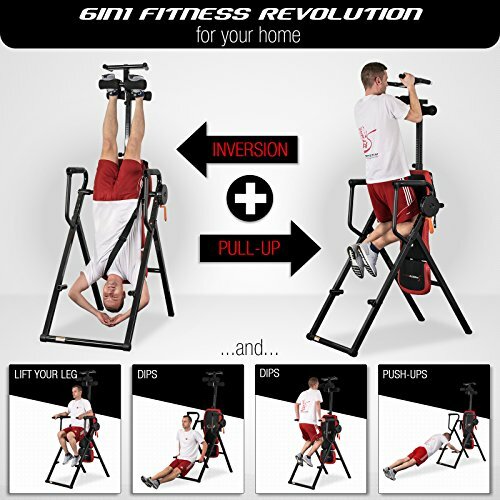 It is worth noting that not all inversion tables offer full inversion of 180 degrees. If you are a beginner you might think this doesn’t matter, however, as you become more confident with using a table it is a feature you will more than likely want to have. Remember to check the inversion angles offered by a model before you purchase it. 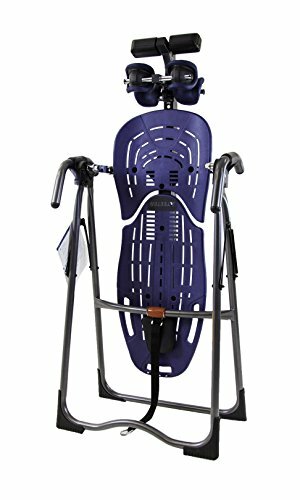 All inversion therapy tables are height adjustable to a certain degree. The amount of adjustability varies from model to model. Before buying it is vital that you make sure the model you are considering can accommodate your height. If you are to tall for your chosen model then you are putting yourself at risk of sustaining a serious injury. The maximum weight capacity is another important factor with regards to safety. After all when fully inverted you want to feel fully assured that you aren’t going to topple over. The maximum weight capacity relies heavily on the quality of the frame and the materials used in its construction. When buying you should be looking for a thick steel frame and ideally a maximum user weight that is a bit more than you weigh. 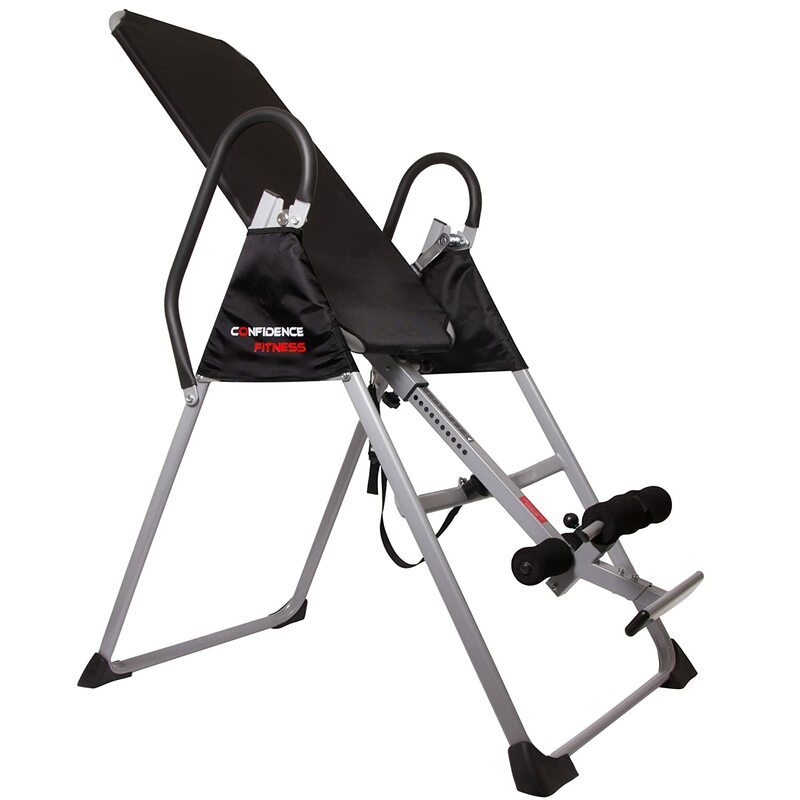 A good quality inversion table will have a maximum user weight of around 130Kg mark. The materials used in the construction vary with brand and model. The more you spend the better the quality of the materials tend to be. As previously mention it is imperative that you choose a model with a thick steel frame. Other areas where the materials used come into play are the upholstery of the table itself and general fittings. It is always worth checking out the customer reviews to see if there is any issues in these areas. 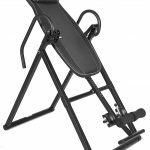 For most people the price is one of the most important considerations when buying an inversion table. 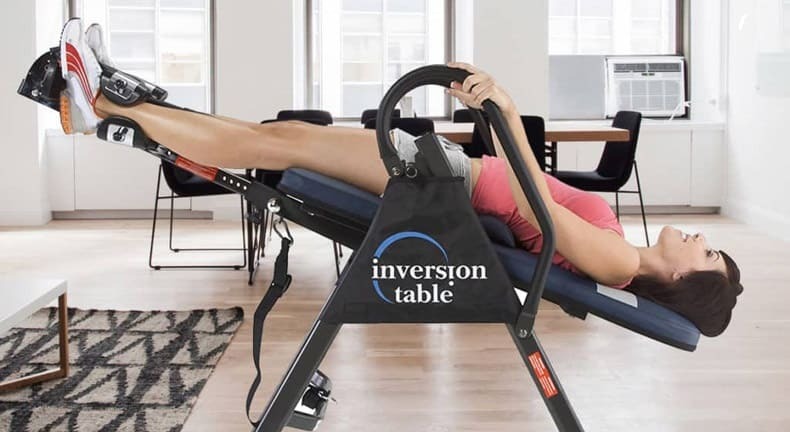 We all like to save money and while the idea of buying a cheap inversion therapy table sounds like a good idea, it could possibly come with a high price! The cheapest models from no name brands are very often constructed of poor materials and are not the safest. These typically cost under £100, however, there are a few very good quality budget models out there some of which we have included in our reviews. 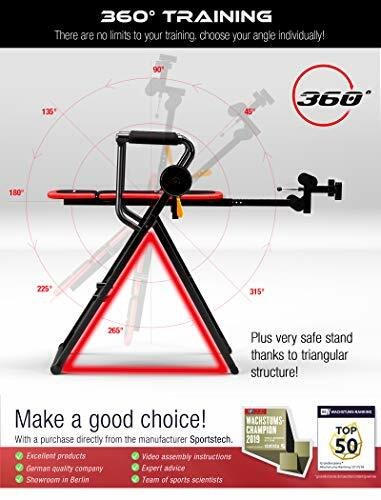 Generally speaking a good quality inversion table will cost between £100 and £500 with a top of the range professional table costing anything up to £2000 plus. If you are wise and do a bit of research you can find the best model for your budget. When purchasing any piece of fitness equipment it is a good idea to check the warranty. 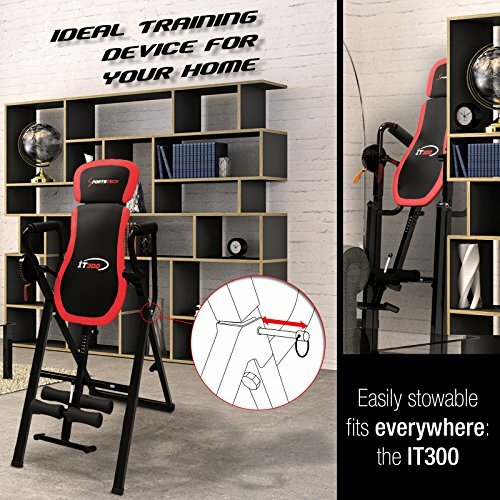 A top quality inversion table from a reputable brand will come with a very good warranty and possibly a separate and longer frame warranty, which is a good indicator of how well-built it actually is. 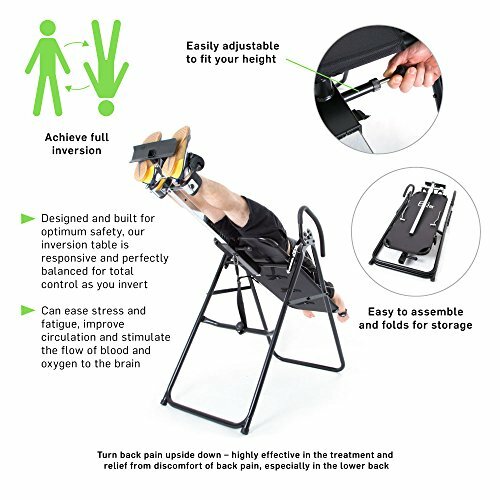 Cheap inversion tables will come with roughly a 12 month warranty and after that you are on your own. 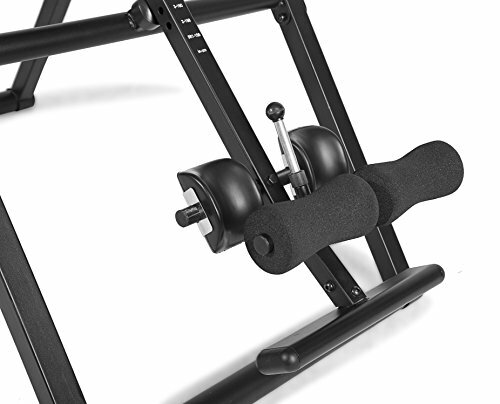 It’s the same with any piece of fitness equipment, there is a right way and a wrong way to use an inversion table. Learning to use an inversion table correctly will ensure you receive the maximum health benefits, don’t and you may end up doing more harm than good. An inversion table is a lot safer to use when setup in an area that has plenty of open space. Having surrounding obstacles such as furniture and chairs for example, makes it far more likely that you will sustain an injury. Another important factor to consider when setting up is the floor surface. Make sure that the floor is even and that the inversion table won’t slide on the surface. If this is a problem you can always invest in a gym floor mat. Assuming you are the only person who is going to be using your new purchase then you will only have to do this once. To adjust the height most inversion tables feature an adjustable knob/dial. There is also a measurement bar that indicates the height setting as you twist the knob. For obvious safety reasons do make sure that you tighten the knob when finished. Before you get on to your table it is recommended that you set it to the lowest degree angle for obvious safety reasons. For most inversion tables this will be an angle of 10 degrees. Now that you have everything setup it’s time to slide onto the table. As soon as you are on the table the first thing to do is secure your feet and ankles. Make any necessary adjustments until they feel comfortable, but always ensure they are locked in place before inverting. When you are sure you are securely fastened in it is then time to slowly raise your hands above your head. This will make the table recline to determined inversion angle. It is highly important that you gradually increase the inversion angle when first starting out and don’t go fully inverted from the get go. It is recommended that you invert for no longer than 5 minutes on your first attempt. Over time it will become apparent as to which angle is the best for your symptoms and duration. In addition the frequency of use that it best for you is something that you will figure out over time. As a guide it is recommended that you have no more than 3 sessions per day and for no longer than one hour per session. Unfortunately the benefits associated with inversion tables are restricted to certain people. Inversion therapy is deemed to not be suitable for people suffering with certain conditions. This is because inverting can reduce the heart rate and also increase blood pressure. In addition it can increase pressure on both the eyeballs and inner ear. 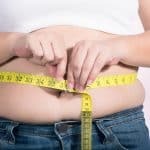 Consequently if you have a condition related to one of these areas of the body then inversion therapy may have to be avoided for the time being. The following is a list of the most common conditions that people can suffer from that may affect whether or not an inversion table is safe to use. If you do suffer from any of the above I highly recommend speaking to your doctor before engaging in any inversion therapy technique. 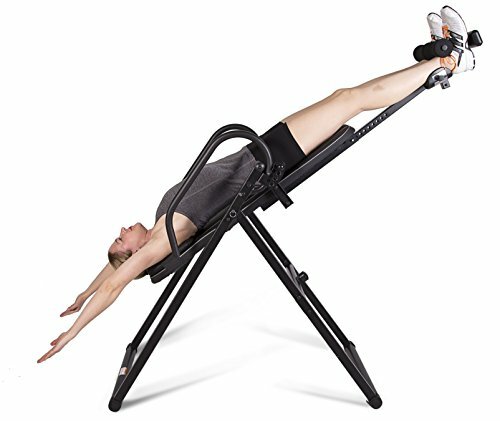 Choosing the best inversion table doesn’t have to be a difficult task. If you know what to look for and what to expect from your purchase then you shouldn’t end up disappointed with your choice. Hopefully with the help of our buyers guide and reviews you found exactly what you was looking for.